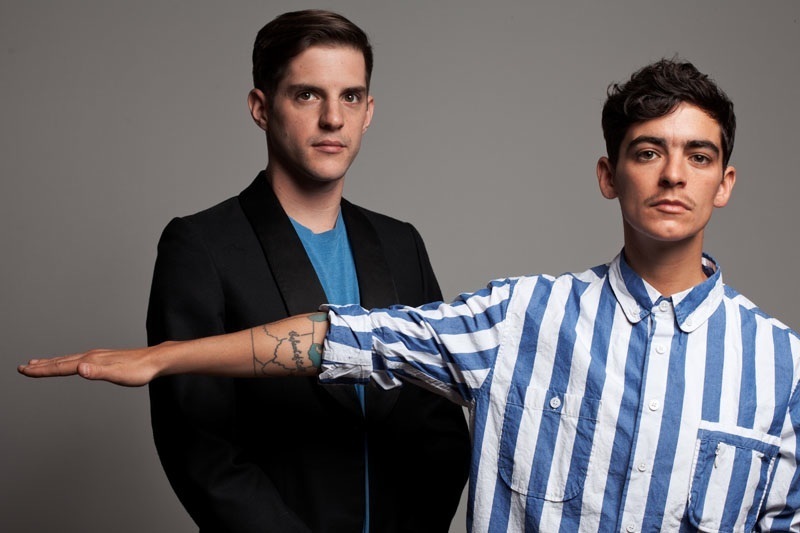 JD Samson cuts an enigmatic figure. Her cropped locks and delicate features are of a model-esque androgyny, crossed by more moustache than adorns the average gentleman. She makes head-bopping electro-pop music – and it’s crested with politically rousing lyrics for discourse through dance. Samson is best known as a member of electro-clash outfit Le Tigre, whose feminist, pro-LGBT lyrics made them a beacon of the riot grrl movement a good decade ago. She’s also frontwoman of dance-pop group MEN, a band and performance collective collaborating with writers, artists and musicians of Brooklyn’s art-punk scene. The music is sleek, electronic pop jacked by disco beats and rippling synths, while topical lyrics dance around issues of liberty, awareness of transsexuals and what Samson calls ‘identity and gender politics’. It’s candy electro with an unexpectedly radical manifesto – pro-feminism, pro-identity, pro-being as weird (or not) as you want to be. And while anarchy in the SAR isn’t exactly how you’d describe the political climate in Hong Kong, the incidence of uprising, well, rises when it comes to less discussed queer scene of Hong Kong. The first gay pride parade took place in 2008, homosexuality was decriminalized only in 1991. Way past Lan Kwai Fong and edging into SoHo and Sheung Wan, bars like Volume, Rice Bar and scene stalwart Propaganda are the foundations for a lesbian, gay, bisexual and transsexual community that makes up anywhere from five to ten percent of our seven million strong SAR. Here in Hong Kong, Samson’s “politics of desire” are only just beginning to be defined – which perhaps rings especially true with MEN’s mission statement. In Hong Kong, the live show will be represented by Samson, MEN’s other core member Michael Oneill, and guitarist Ginger Brooks Takahashi, the trio that made the band’s first album. Aptly named then, their debut full-length Talk About Body. Released last February on LA indie label IAMSound, the record is dance music with a mission, issue-laden lyrics slipped betwixt light funky lines and insidious cloppety-clops. From getting too old for clubbing to how others see your body, to gay couples adopting and government attitude to war profit, this album could easily be the semester syllabus for a core subject in the liberal arts enclave where Samson studied film. She landed in New York’s Sarah Lawrence College at 18, where the young proto-activist put on punk shows, entered the feminist art scene and met her future Le Tigre colleagues. Samson joined the band in 2000 already sporting her moustache, and thanks to that casual dash of keratin, rose as an icon of the transsexual revolution around 2003. Originally conceived as a DJ project, MEN have toured their live show in Europe, the US, Australia and now Asia, supporting Brazilian new rave band CSS, as well as Le Tigre-esque electro-rock acts the Gossip and Peaches. For Samson, MEN is a more than adequate post-Tigre project, an artistic venture where her identity and beliefs have been assumed as symbols of a gender politic. Yet Samson recently posted a column at the Huffington Post describing her feelings of financial insecurity, being “33 and I don’t know how to make coffee”. “I don’t feel I’ve gone wrong. It’s just complicated to be 33 and understand there’s a time at which you need to change if you want to save money or have a family. But in a musical age where £1 for a song is too expensive, good art is a tough sell. “I would say my facial hair has been a huge part of my success,” she says. “Which is very strange.” Talking about her body, it seems, has never been so appropriate.